The social networking site Instagram has periodically updated many updates and changes. Just a few months ago, Instagram has added a feature that allows users to save their own posts in a private storage. But now Instagram has added another new feature in its platform, with the help of which you will be able to organize your favorite images better. 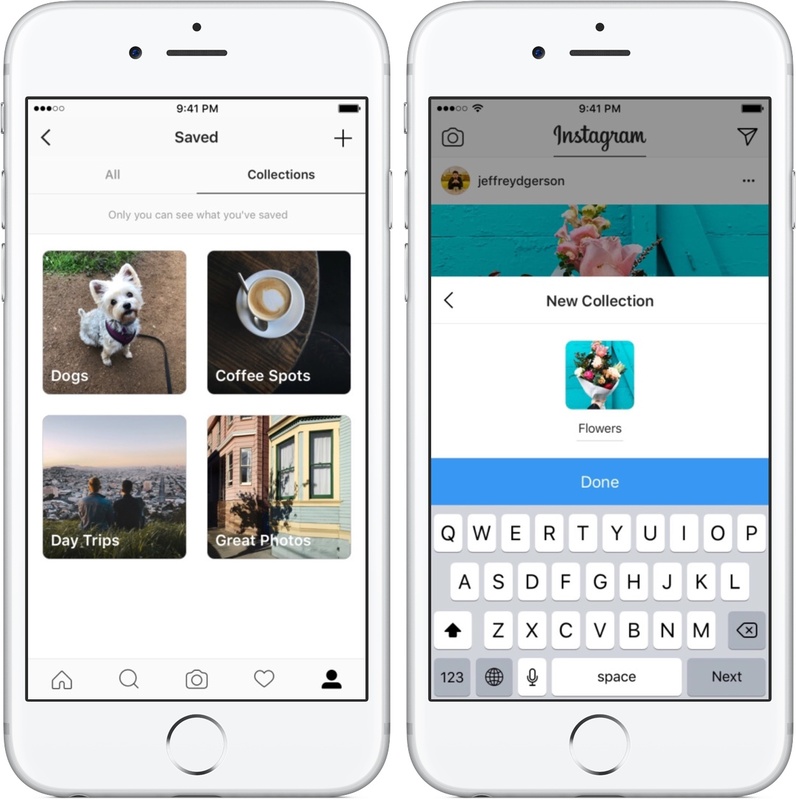 According to the reporters, Instagram has recently edited a new feature called Collection. With the help of which you can save your photos in your private collection and place them in one place. In fact it is a folders in which you can save and keep your photos. But when you save a lot of photos once, sorting those photos is not easy. It is being told that the collection is available only for private conservation, but this feature can also be done to share the best photos captured by the people or a playlist of Instagram images also for users. Could have made them appear before them. In this feature called Collection, users will have to open their saved photos and click on the icon, after which the photos can be selected and saved in their collection. This feature will be available on all Android and iOS versions, and This feature will be available after updating the Instagram.